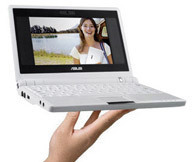 I love my Asus Eee PC and I cannot expect the Eee PC 900 with a bigger screen and more space for my files. I really want an EEE PC. Great post. Thanks for the sharing of such information we will pass it on to our readers.This is a great reading.